Emeka and Ifeyinwa Frederick are siblings and co-founders of Chuku’s. 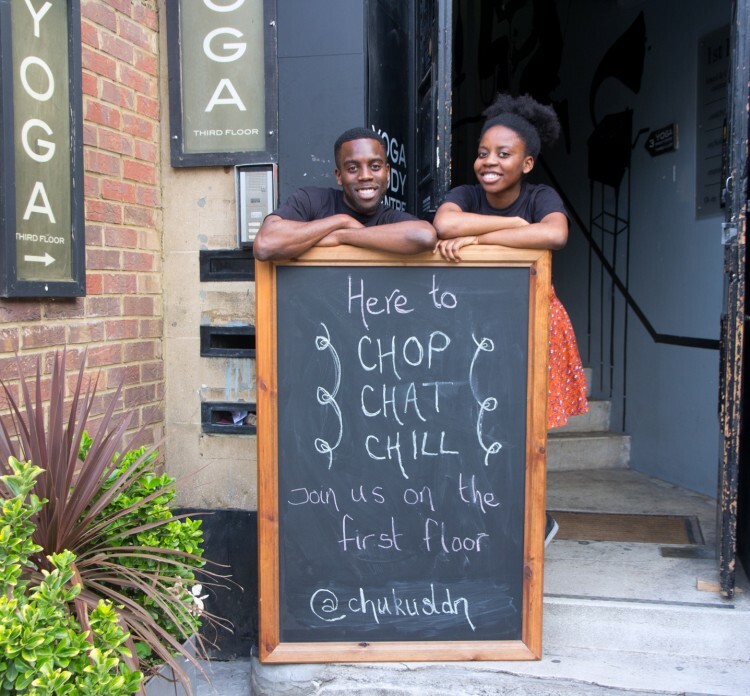 The duo launched the Nigerian tapas lounge (the first of its kind) in 2015 and have been popping up across London offering an intimate dining experience with their twist on traditional Nigerian recipes. Ifeyinwa and Emeka talk shop ahead of their latest lounge session on April 10. How did Chuku’s come about? We had both noticed that Nigerian food lacked a strong presence on the UK food scene and we wanted to set up a food business to address this. Everyone we knew that had tried Nigerian cuisine had enjoyed it and yet it still lacked a strong representation in both London and the rest of the UK. It was time to share the Nigerian foods we know and love. For us, it just didn’t make sense. And so we decided it was time to share the Nigerian foods we know and love with the rest of the UK (and eventually the rest of the world). But after we’d decided we wanted to start a Nigerian restaurant we then had to ask ourselves how we were going to introduce this new cuisine to the mainstream. To give people the opportunity to explore Nigerian foods, we realised that one big plate of a particular dish wasn’t necessarily the best way. Why not offer guests smaller serving plates so they could indulge in a greater variety of foods? And that’s really what tapas is. A selection of small plates. So we found ourselves preparing to launch the world’s first Nigerian tapas lounge. How have you tried to adapt it for the British market? For us, we had to become comfortable with the fact that in order to bring the food to the mainstream it might not look the same as when our grandmother would cook it for us. And in fact, this was something we embraced and we decided to play with the notion of Nigerian cuisine. Experimenting with Nigerian foodstuffs, we wanted to create dishes that would appeal to foodies of all persuasions, whilst being rooted in our Nigerian heritage. 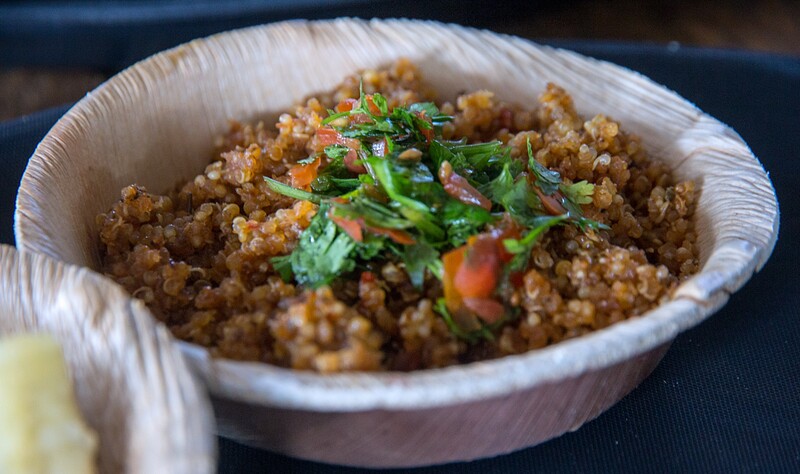 For example, we knew we were creating a menu for a London where vegetarianism is a growing trend; we had to ensure that we showcased the vegetarian recipes available using Nigerian foods, at the same time, debunking the myth that all African meals contain meat. We have developed a menu that appeals to the British market. In January our sample menu posted on Facebook read: jollof quinoa, yam tortilla, bean porridge, plantain pancakes and chin chin cheesecake. Even without knowing what plantain or chin chin was, pancakes and cheesecake was something everybody could get excited about. And as a superfood, quinoa is becoming more and more popular. By offering a mixture of traditional Nigerian dishes and those with a diasporan twist, we have developed a menu that appeals to the British market. What’s the must-have dish at Chuku’s? Ifeyinwa: I’m a massive dessert person, and in particular I love cake, so for me it has to be the Chuku’s Chin Chin Cheesecake. Emeka: Moi moi. No question. For those who don’t know moi moi is a savoury pudding made from puréed beans and it’s one of my favourite foods. It’s full of flavour, nutritious and can be eaten any time of day. From a personal point of view, Nigerian food is comforting. It’s a taste of home that takes you right back to your childhood. 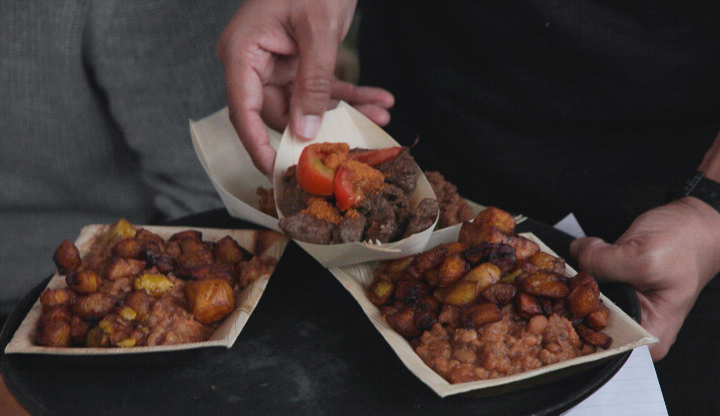 But for people without that personal connection we would say Nigerian food is typified by the blend of exciting, natural flavours that quickly transport you on an adventure outside of the UK. And after your taste buds have travelled there’s a quiet sense of foodie satisfaction that follows. You are content with life. What are the most interesting new trends in Nigerian food? The creativity that’s now being seen in the industry. From plating to the ingredient combinations, chefs across the globe are shaking up notions of traditional Nigerian cuisine. For example, Senegalese chef Pierre Thiam has opened Nok Alara in Lagos – a fine dining Nigerian restaurant. Food bloggers are also pushing the boundaries. Just a few years ago, I couldn’t imagine a restaurant offering suya calamari but that’s exactly what Nok Alara does. And that’s just one establishment. Nor is it just restaurants. 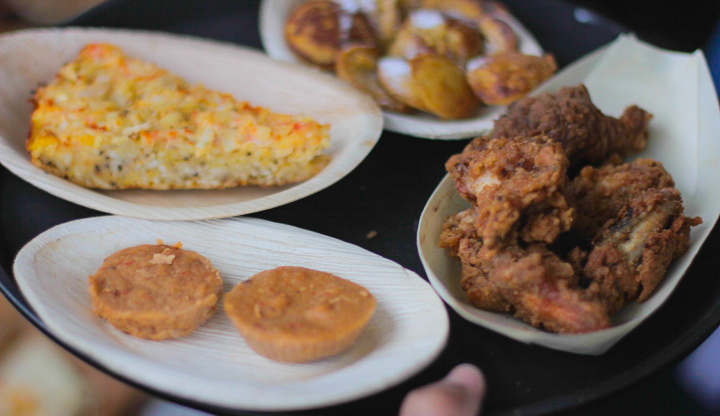 Food bloggers are also pushing the boundaries of what we’ve been told Nigerian food must be. Just take a look at 9jafoodie and Dooney’s Kitchen. We’re excited to be part of this Nigerian foodie revolution!